The Apocriticus purports to be the record of a four-day public debate between a pagan philosopher, whom the text calls simply the “Hellene,” and the author, Macarius, a Christian rhetor. The text is a rich, though often neglected, source for the history of intellectual and cultural conflict between Christian and Hellene intellectuals in the fourth century CE. 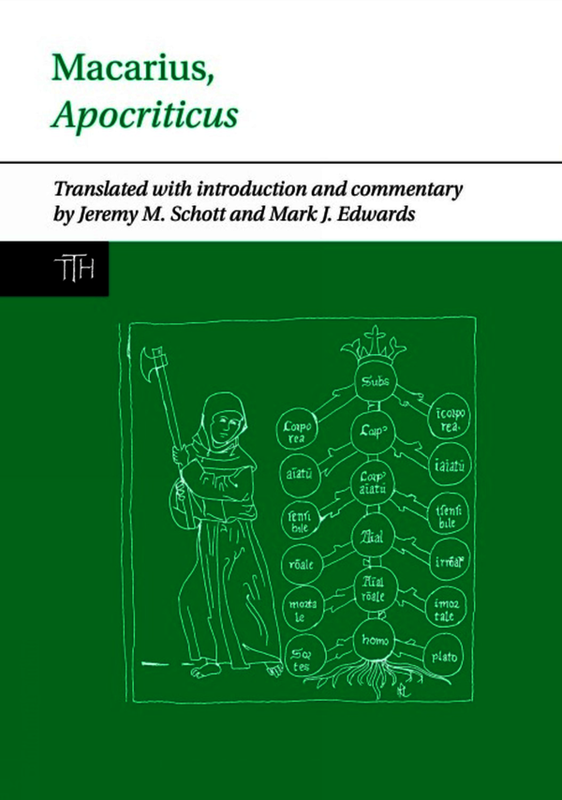 While the Apocriticus has frequently attracted the attention of scholars as a possible source of fragments from Porphyry’s Against the Christians, the text as a whole is significant in its own right. Macarius defends the allegorical reading of scripture and presents interesting discussions concerning ascetic practice and the cult of the martyrs. The philosophical and theological eclecticism of the text should also be of interests to scholars of early Christianity and later ancient philosophy. The fictitious dialogue weaves together philosophical and theological arguments, often in a “popularized” form. The text thus represents an interesting contrast to more formal “high” philosophical and theological texts of the period. As well as a new English translation of an important text, this volume includes notes and introductory essays setting the work in its historical and intellectual contexts.